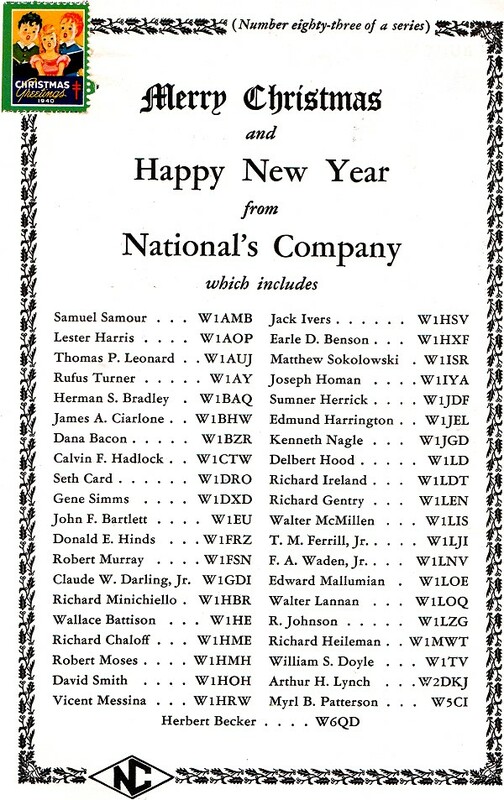 Take a look at the list of National Company's employee list wishing their customers a Merry Christmas and a Happy New Year. Every one of them is a licensed Ham radio operator. 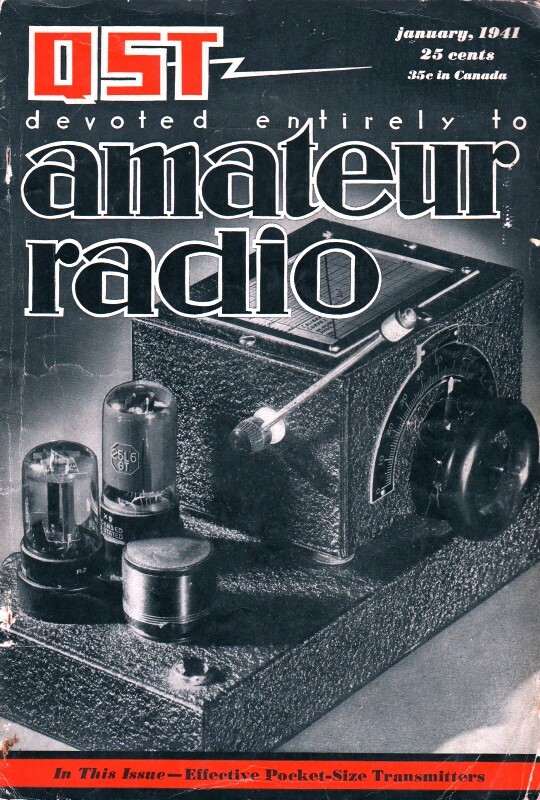 It appeared in the January 1941 issue of QST, but was for the 1940 Christmas. 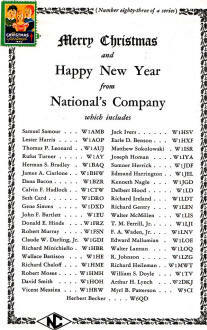 National Company was a major producer of amateur radio gear in the day. Little did they suspect that by the same time a year later, America would be newly engaged in World War II after the Japanese attack on Pearl Harbor on December 7, 1941. 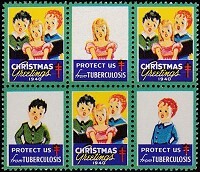 Interestingly, the American Lung Society's Christmas Seals stamp that appears in the upper left corner is authentic and must have been applied by humans. That means thousands of copies had to be manually stamped before mailing. As a long-time philatelist (stamp-collector) myself, I have one of these 1940 Christmas Seals center blocks (they're not worth much - none of my stamps are, unfortunately).